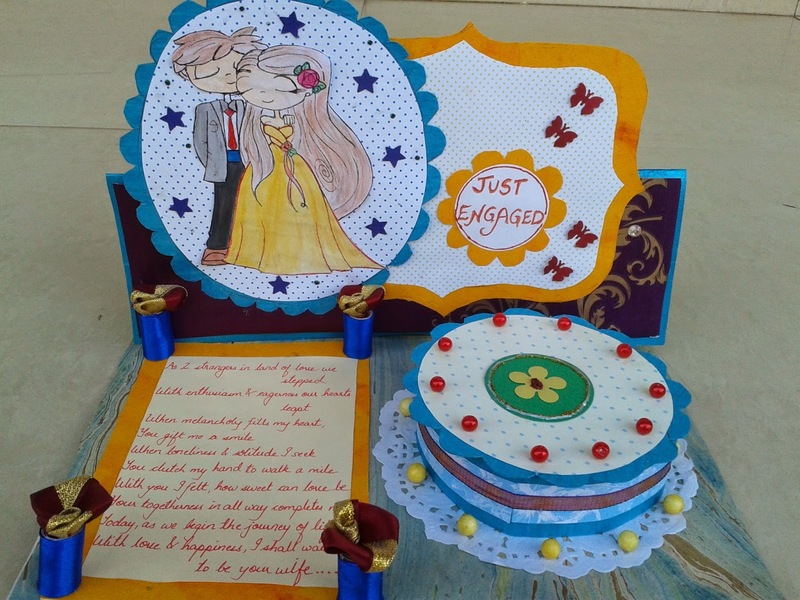 A midst the engagement preparations, I hardly found much time to craft, leave alone blogging. 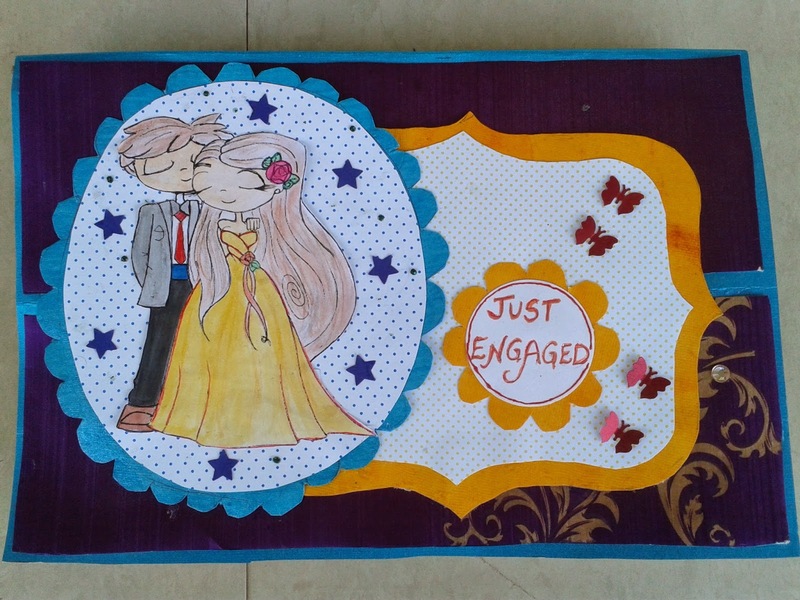 But after the engagement mania has settled down, I will share a few items that I made as part of engagement gifts! 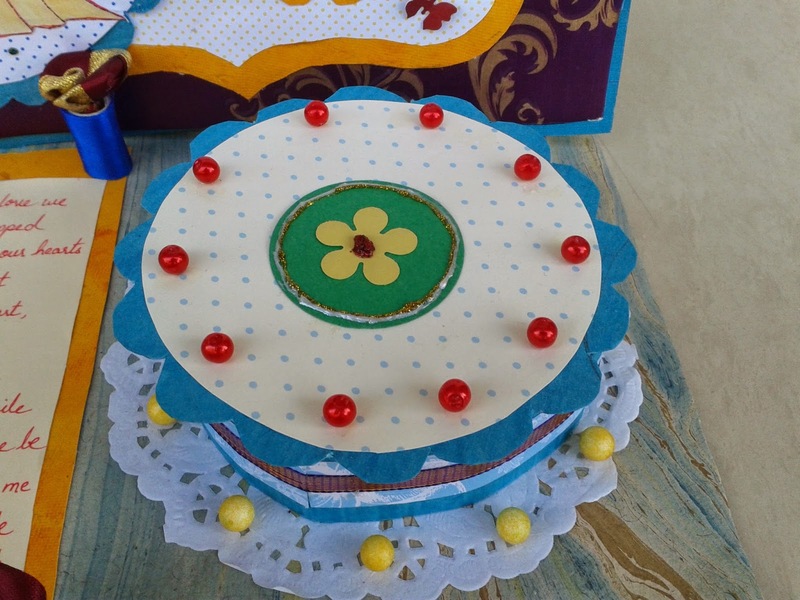 Since a few days, I have been toying around with the idea of making a easel cake card. Easel cards are my favourite!! Easy to make and the give your card a fab look. But the cake part i felt a little challenging! A closer look at the couple pic. absolutely loved this stamp and enjoyed colouring it!! Have added handmade fabric roses here. My fiance loved the card and I felt extremely happy seeing his happiness. Please do let me know how my experiment has turned out to be! Your comments meant alot!! 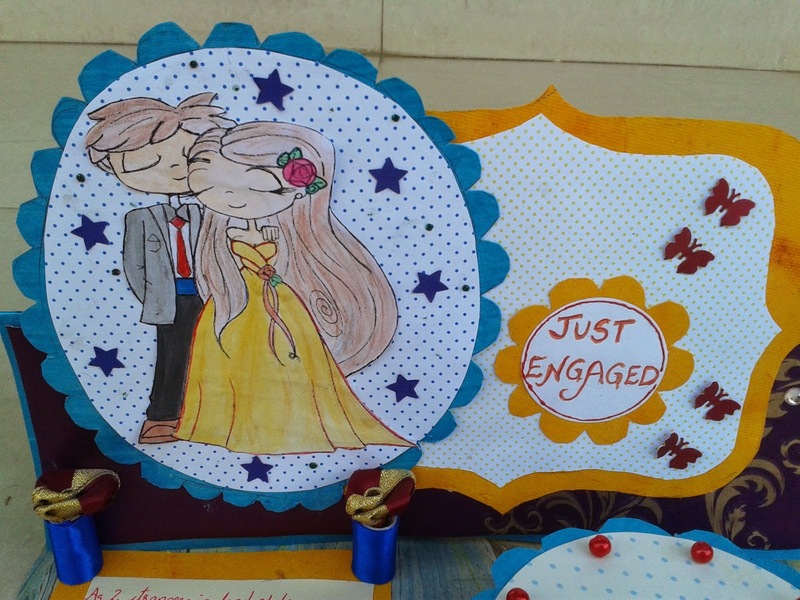 Congrats on your engagement Bijal and glad to hear your fiancee appreciates cards! !Good to see your poem too!! Thank u so much doctor!! 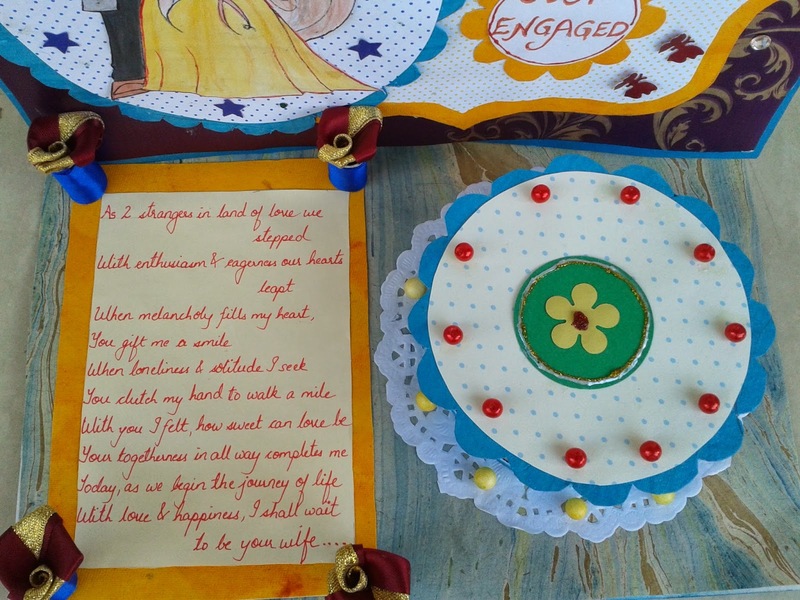 Hi Bijal, I have added the link to your card as Iaee you now have a link back to the challenge blog. oh how adorable the bride and groom is!! great card :) thank you for sharing with CSCC! Congratulations Bijal. Cute card. TFS at CSCC. Hope to see you again. Thank u so much Tanvi!